Happy Friday y'all! We made it! 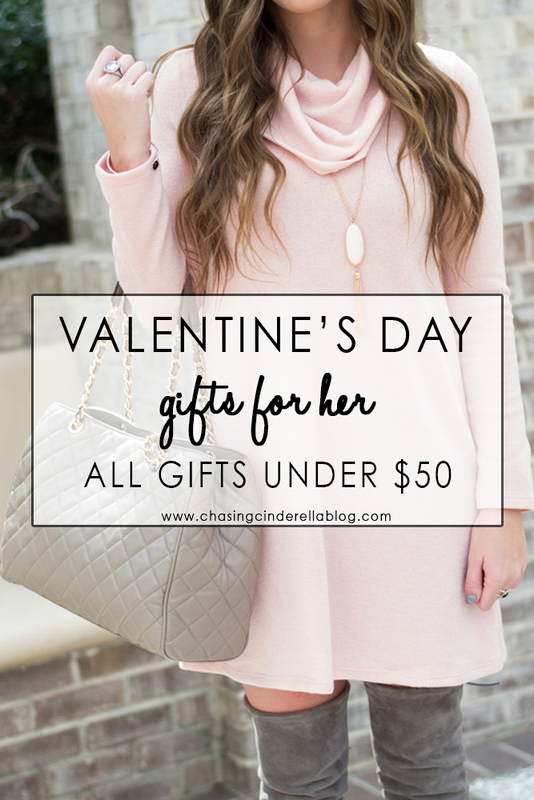 Today I wanted to share with you some cute gifts that would be great Valentine's Day gifts for any gal in your life! Everything you see below is under $50! Yes, even the Kate Spade card holder! So if there are any guys reading this, you're welcome! *You can shop this post two ways! Either click on the picture of the item below or use the slideshow below the collage. Either way will take you directly to the website for you to purchase! I cannot believe it is almost February! Not only does that mean that Valentine's Day is right around the corner, it also means that I am about to be year older! Lord where does the time go! I am excited for February to be over though because I have an exciting trip planned in March! I'll be sharing more in a couple of weeks, but lets just say I better get my booty in bathing suit shape! ooh those bath bombs are a great gift for V-day! Great round up girl! love the champagne bears but the bubbly bears take it to a whole new level! they are my fave!! Love these gift ideas! I need to get those bath bombs! I love all the gift ideas you suggested! Especially the bath bombs. All the ideas are unique and such a great price! These are all such great ideas! I love the eye mask! Give me all the sugarfina - please and thank you!! Great picks gal! I love this affordable roundup! So many cute gift ideas! I would love any of these! I'll have to leave this screen up for when hubby walks by. Those champagne bears and sunglasses have my name all over them. Love all your picks! That mug is so cute! Bath bombs and champagne bears, yesss! Always a good idea! Such fun gift ideas- I loveeee bath bombs and that card case is too cute! I love all these gift ideas! Great round up girl. :) Those bath bombs look AWESOME!